We worked closely with the producers of the Fifty Shades Darker: The Masquerade Ball VR experience, to help them create a Headjack-powered app for Gear VR. To maximize eyeballs, this spicy piece of VR content was spread out to nearly every outlet possible. From YouTube and Facebook, to Jaunt and Samsung VR, and even an embedded VR player on people.com. This offers a unique chance to compare the encoding quality of all these platforms! Let’s have a look at the original file first, the final render we received from 5th Wall (We can only assume that this file or one of comparable quality was used as input for the other platforms of course). 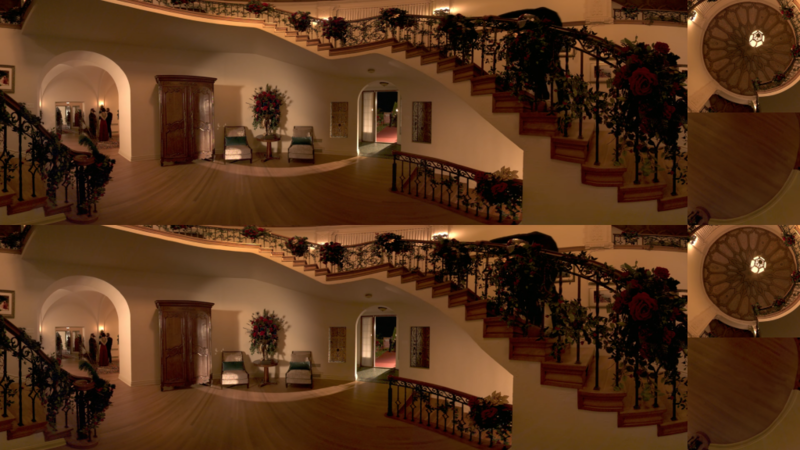 As you can see in the screenshot below, they encoded the 3840×2160 stereoscopic video using the H.265/HEVC codec instead of the more commonly used H.264/AVC codec, to achieve an optimal quality-to-size ratio. 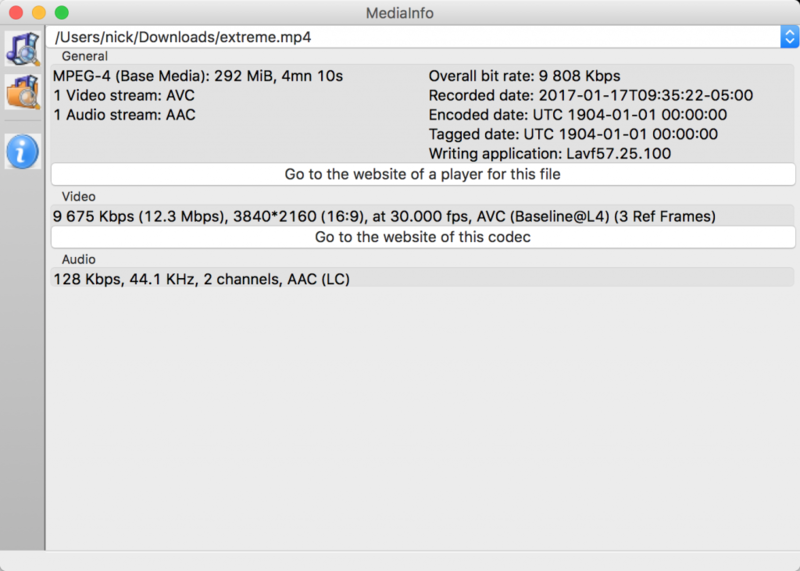 The bitrate of this file is 12.3Mbps, which is comparable to an H.264 encoded file at a bitrate of 24.6Mbps, since H.265 is about 50% more efficient compared to H.264 for the same image quality. Another major benefit of H.265 is that colors, especially blacks, look way better. Now let’s see what the various platforms made of this! Jaunt is an interesting case to start with, because of all the VR platforms to which the Fifty Shades Darker video was uploaded, Jaunt is the only one that distributed the video to Oculus Rift, Gear VR, Cardboard and web, an impressive feat! 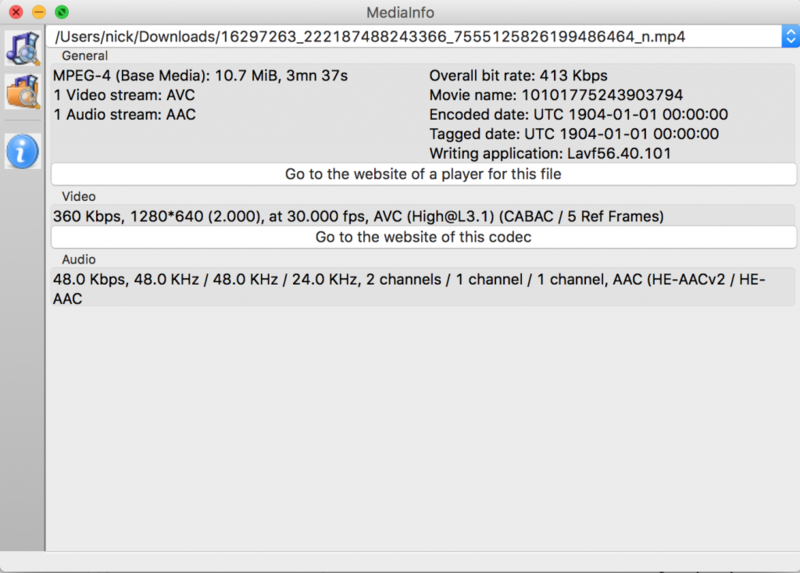 This allows us to inspect at which resolution and bitrate Jaunt encodes videos for each of these channels. For the Rift, Jaunt keeps the Ultra-HD (UHD) resolution of 3840×2160 of the original video, but uses the now 14 year old (!!) H.264 codec instead, which results in a bitrate which is 6.5Mbps higher than the original, as well as blacks that are a bit more greyish. Something interesting happens for Gear VR: Jaunt scales the video down to 2560×1440, or 1440p, even though Gear VR phones are capable of playing UHD videos. Our only guess is that this saves some bandwidth and makes the devices less likely to overheat, which is a common problem with Gear VRs. I checked the Jaunt Cardboard app on my brand spankin’ new, Daydream-ready, ZTE Axon 7 phone, and was served a 1080p (1920×1080) video, even though this phone is easily capable of UHD playback. The reasoning behind this is simple to guess: Jaunt wants maximum compatibility, even with older Android phones. This is understandable, but instead of serving every Cardboard user a 1080p video, Cardboard apps created with Headjack check if the phone’s chipset supports UHD hardware decoding so that most phones receive a crisp UHD video, while only the lowest quality phones get served a 1080p video. Jaunt also offers a web player on their website, which streams the video at 2560×1280 in H.264. If the 2:1 aspect ratio seems odd for a stereoscopic video, that’s because the Jaunt web player only plays back monoscopic content. This makes sense, since there is currently no option to view the web video in a VR headset, so no one would be able to see the 3D effect anyway. It is very impressive to see how Jaunt is dealing with the significant challenges of multi-platform 360º video playback. The company is also using an innovative semi-cubemap format for their videos to improve compression and image quality, especially around the top and bottom of the video. The Jaunt players also support quadraphonic spatial audio, which greatly enhances the viewing experience, even though it is technically not considered “true” ambisonics. Besides the Jaunt web player, the Fifty Shades Darker VR experience could also be viewed on several other web platforms. When we checked out the video on Samsung VR, we found it streamed in just 1080p resolution. We then noticed that Samsung uses HLS adaptive streaming to switch between several quality levels based on the viewer’s internet speed, but even the highest quality level was 1080p and monoscopic. Samsung does support a form of spatial audio, using 5.0 sound combined with head tracking. As part of a press release on people.com, a custom HTML5 360º video player from OmniVirt was used to embed the Fifty Shades Darker Masquerade experience. This player offers 4K playback and the option to watch the video in VR mode. But despite these great features, the video was again monoscopic. Facebook has become one of the most popular distribution channels for VR video content, and for a good reason: the Fifty Shades experience received 2.8 million views at the time of writing!! Although we should take Facebook’s definition of a “view” with a grain of salt. On Facebook, the video was played back at a meagre 1280×640 resolution, even though Facebook should be capable of higher resolution playback, and was monoscopic. Facebook does however support ambisonic audio, powered by the amazing tech of Two Big Ears. 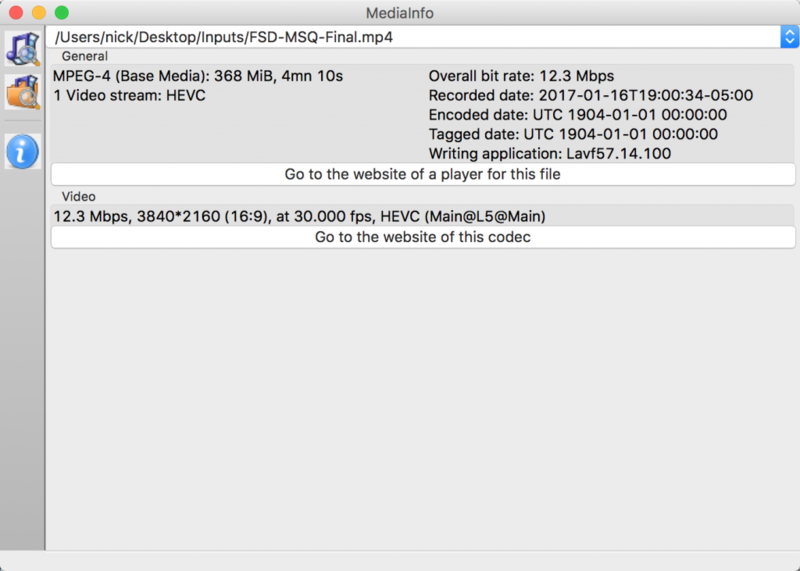 Just like Jaunt, Samsung VR and OmniVirt, Facebook also relies on the H.264 codec for playback. 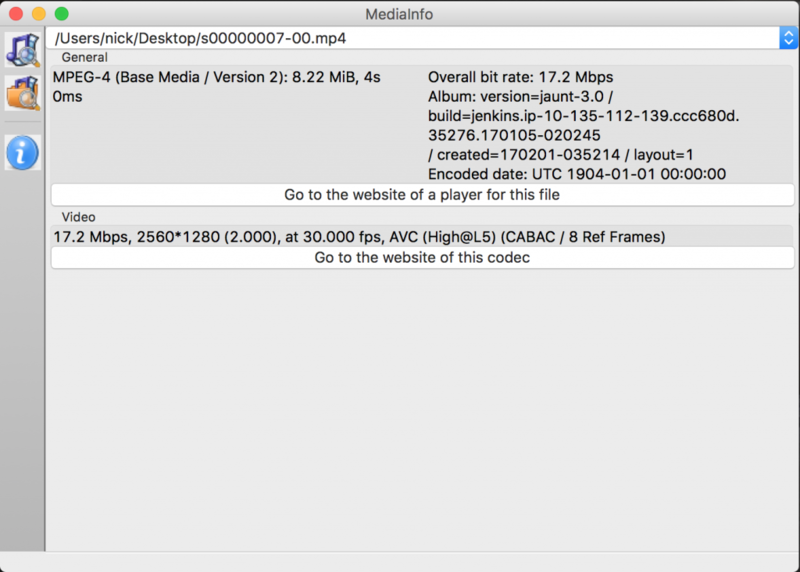 Wow, at long last a platform which actually uses an up-to-date video codec! YouTube streams the video in UHD resolution using its in-house developed, highly efficient VP9 codec. The compression and image quality of VP9 is comparable to that of H.265/HEVC, so the 9.5Mbit bitrate is decent. On top of that, YouTube is also capable of playing stereoscopic video in VR mode, and supports spatial audio in the AmbiX format. 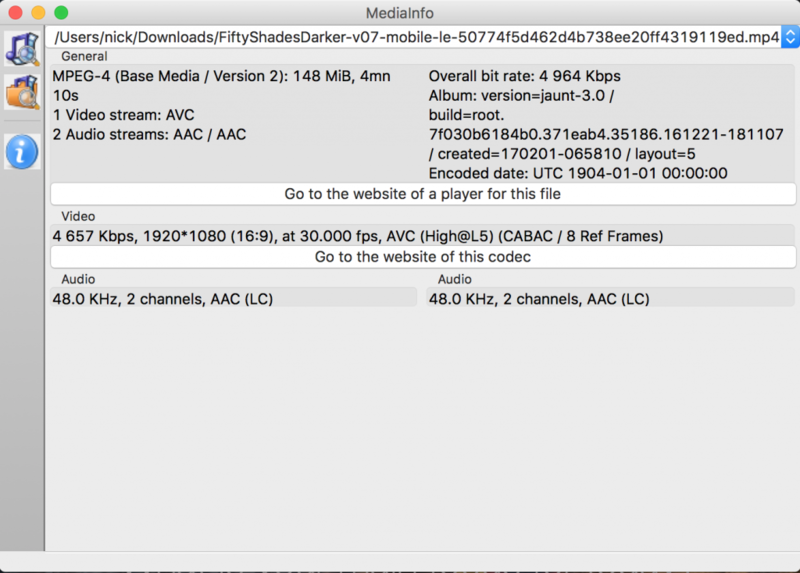 Unfortunately, the Fifty Shades Darker video seems to be uploaded as a monoscopic video. One of the most interesting findings of this review is that everyone except YouTube uses the 14 year old (!!) H.264 codec, instead of the much more efficient H.265 or VP9 codecs, resulting in larger file sizes and lower image quality. 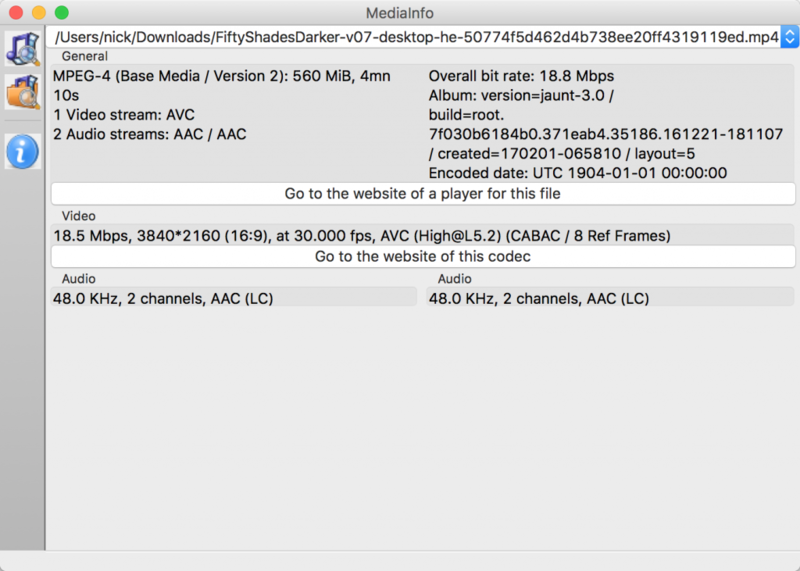 Two major distribution channels that were not included in this analysis because they did not feature the Fifty Shades Darker video, WITHIN and Littlstar, also both use H.264 encoding. We built Headjack with Hollywood in mind, so image quality is our #1 priority. 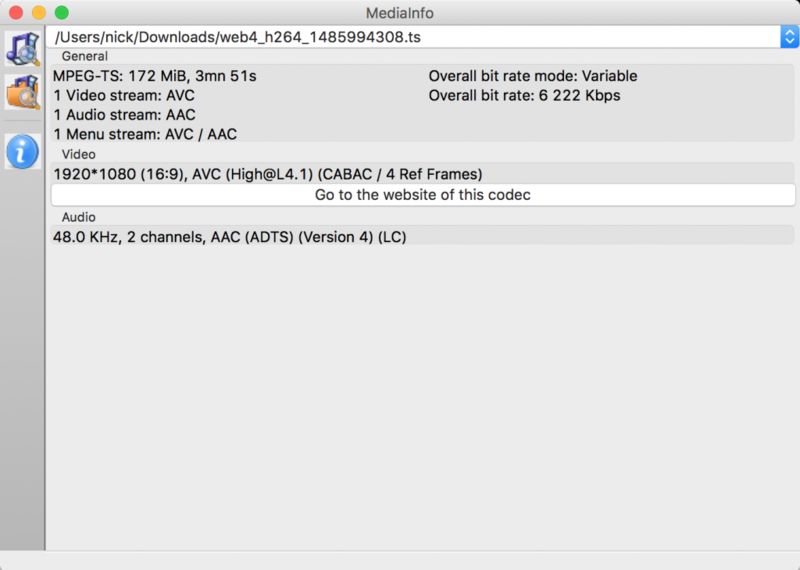 That’s why we encode videos uploaded to Headjack as 10-15Mbit UHD VP9 files to ensure the best viewing experience. But then again, we also understand that you might not want anyone to mess with your final render. You may not want a re-encode at all, no matter how good it is! The ability to skip re-encoding is a feature the amazing team over at 5th Wall requested, and we obliged! Now anyone with an Agency or Enterprise account can choose to use their own preferred encoding settings when building an app with Headjack. The Headjack-powered Fifty Shades Darker app for Gear VR therefore plays back the original H.265 UHD video we received from 5th Wall, complete with a TBE spatial audio track. It was a very useful exercise to compare the output of the various distribution channels for 360º video, because there isn’t a single “best” platform yet, they’re all still figuring it out, including Headjack. The choice of the platform you use to distribute your content depends on the specific goals of your particular project, and hopefully this analysis helps you make the right decision.